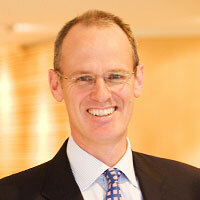 Bill Reid is one of Australia’s leading practitioners in competition law. He has advised on competition issues in major Australian and international mergers and joint ventures and also advises on access to infrastructure issues in the rail, gas and other network industries. In litigation, Bill has represented clients in several of Australia’s major cartel investigations and prosecutions and in several very significant predatory pricing and other monopolisation cases. Bill leads Ashurst' Asian Competition practice, having been based in Singapore for 3 years until recently providing advice around the region on compliance, merger clearance and investigations. Bill is ranked as a ‘leading individual’ in competition law by Chambers Global, Asia-Pacific Legal 500, PLC Which Lawyer?, and Global Competition Review, among other directories. Bill is described as a "terrific, first-class lawyer who is commercial, pragmatic and gives clear advice" (Chambers Global). American Bar Association, Antitrust Section. Masters of Business Administration – Melbourne Business School (2005).